Who saw this one coming, eh? This post could have been entitled The Fun Novel, as by the time I started Lady in the Lake I was in full swing. 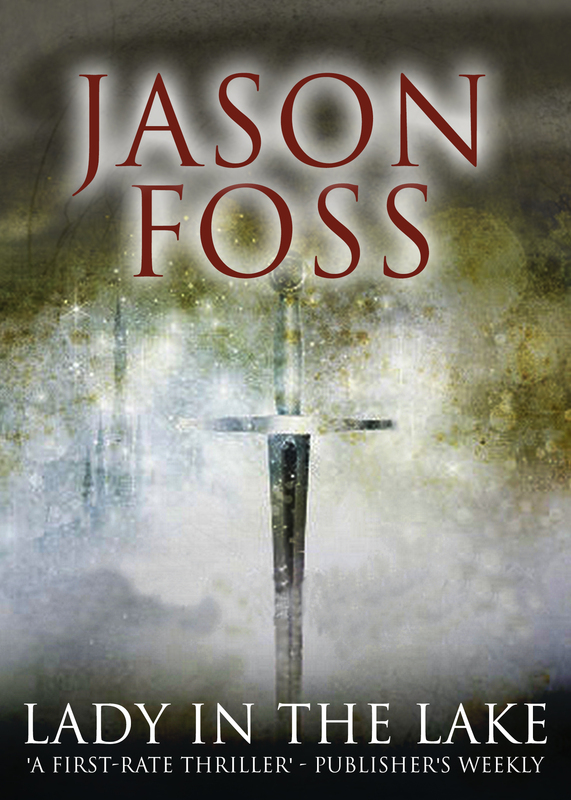 It was the only book I sold on the basis of title alone – mostly Arthurian, but with a nod to Chandler also. Indeed when I pitched it I had only the last page planned – a good point to work towards. King Arthur has been described as the historical character upon which more scholarly time has been wasted than on any other. The research was entertaining, and my work paralleled Jeffery Flint’s delving into the world of Arthurian myth – those who believe it literally and all shades of other opinions. I was struck again and again how Arthur refuses to die – uncomfortable archaeological finds that point to him being real (or at least, his world being real). To an extent the book is a road trip for Flint and Tyrone around various Arthurian sites and conventions. More than in any other book they exercise their curious yin/yang male bonding, with Tyrone’s blunt realism providing the foil to Flint’s tree-hugging distrust of the modern world. It is to date their last joint outing. With a farcical chase scene and an air of continuous disbelief that the True Excalibur has actually been found, this is probably the lightest of the series. With academics playing the two lead characters and most of the supporting cast there is ample opportunity to download that research into the book without it feeling like information-dumping. Academics love to cite facts, then argue them with other academics. With their different political perspectives, Flint and Tyrone come at the problems from different angles, chew them over and blunder towards the final confrontation. Merlin, the Beast of Exmoor, the Hitler Werewolf murders – this book was a joy to write.